Last month the European Commission said in a report that Spain was the country in which the structural reforms have had the most positive impact. Praising its “ambitious” reforms, the Commission argued that Madrid has firmly “cemented” the economic recovery. Hans-Joachim Massenberg, a board member of the Federal Association of German Banks, forecasted in September that Spain would become the “growth engine of Europe within two years”. Some in Brussels and Madrid could not believe that such expressions of optimism are being made at a moment when Spain is failing to revive inflation (0.1 percent in August), credit (without changes in the last quarter, according to the Bank of Spain) and employment (the jobless rate is expected to continue above 20 percent over the next two years). What’s more, a third recession seems to be around the corner. “When I hear that Spain must be our model, it makes me laugh (…) I worry when they say that our example should be a country that has twice the unemployment,” he added. However, the European Commission and the International Monetary Fund have insistently highlighted the results of Spain’s reforms. In the second quarter, when Germany, Italy and France were struggling, Spain’s growth inched up 0.6 percent of the GDP. “There is a necessity within the European institutions, the country and even in Germany to affirm that things in Spain are going well, that the chosen strategy to overcome the crises has been the correct one,” Ángel Laborda, an economist from Funcas, a prominent think-tank, says in an interview with MacroPolis. Growth is expected to surge by 1.3 percent of the GDP this year from -1.2 in 2013. 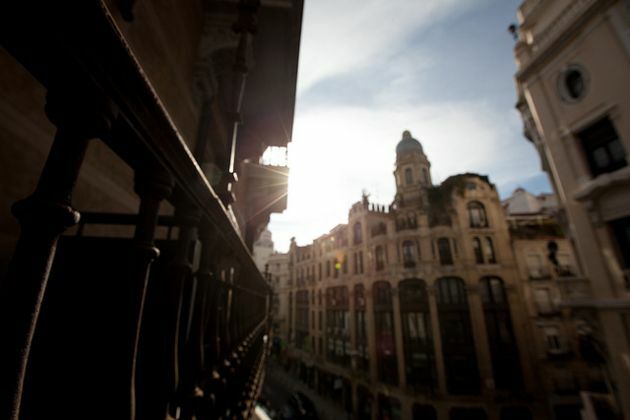 Official forecasts have shown that the Spanish economy will rise again by 2.0 percent in 2015. Housing prices and activity are picking up and the successive labour reforms seem to have boosted competitiveness. “The Spanish government has done what was really essential: attacking the problem of insolvency of Spain’s financial sector, asking for a bail out and reforming the labour market, making it the most flexible in history. It has played its role, controlling the public finances,” argues Laborda. Experts agree that structural reforms in Spain have borne fruit but they are more cautious about their effectiveness and the remaining challenges. “Looking at [macroeconomic] fundamentals, there are still many challenges. There is a problem with the debt that has not been improved, there are many more reforms to be done and all these make a sustainable growth more difficult,” argued Zsolt Darvas, from Bruegel, a think-tank based in Brussels, interviewed by MacroPolis. Although private debt has reached alarming levels – the latest estimate indicates that it is slightly below 200 percent of the GDP – analysts and European institutions are primarily concerned about the public debt, which is climbing dangerously close to 100% of the GDP. Had the markets’ enthusiasm for Spanish debt disappeared, the country’s debt pile would have rapidly become a sword of Damocles for the economy. For example, in the latest auction, the Treasury sold 3.5 billion euros in five and ten-year bonds at record-low interest rates. Some voices in the European institutions could be heard calling on Italy and France, now under the spotlight, to follow the example – or the commitment – of Spain. Noting disagreement, Darvas underlines that Greece and Portugal have been the “most reformist” countries within the eurozone. “It’s true that the economic recovery was stronger in Spain but, in terms of efforts, Portugal and Greece did much more, putting more reforms in place,” he adds. For better or worse, Spain seems to be building up a growth-friendly economy but most Spaniards cannot feel it. The government tends to attribute it to its reforms and economists sometimes explain progress by pointing to cycles. However, for all the upbeat economic news, Spaniards have yet to reap any reward from these years of sacrifices.